The act creates harsh penalties for all of these offenses, particularly those that involve the production, trafficking, sale, or manufacture of drugs. Philadelphia prosecutors also take a very tough stance on these crimes and frequently push for severe penalties. You need an aggressive Philly criminal defense attorney who will aggressively protect your interests. If you or one of your family members has been arrested and charged with producing or manufacturing controlled substances in Philadelphia, it is of the utmost importance that you are represented in court by a skilled attorney who understands the legal defenses that can be used against drug manufacture charges in Pennsylvania. 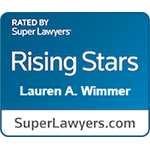 Criminal defense attorney Lauren Wimmer has handled numerous cases involving felony and misdemeanor drug crimes in Philadelphia, and can work to have your charges reduced, or even dismissed. 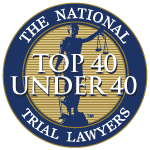 Contact us or call now for a free and confidential legal consultation with Lauren Wimmer at (215) 712-1212. “Actual” and “constructive” are terms that frequently arise in drug cases. “Actual” refers to a person’s factual acts: for example, “actual possession” means having drugs on your person or in your backpack, purse, or handbag. “Constructive” is a more abstract and means that the defendant had the ability to exercise control over controlled substances in a nearby location, but did not physically have drugs on his or her person. The act of manufacturing is prohibited under Section 6(b) which states, “No person shall operate as a manufacturer of controlled substances or other drugs” without the appropriate medical credentials. 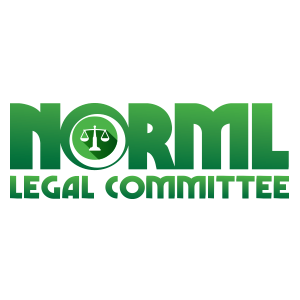 Additionally, under Section 13(a)(3), “The manufacture, sale or delivery, holding, offering for sale, or possession of any controlled substance, [or] other drug” is illegal. The reason these definitions are important for defendants to understand is that they’re vital to countering the prosecution’s case. 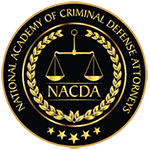 For a prosecutor to obtain a conviction for drug delivery or drug manufacture, he or she must prove beyond a reasonable doubt that the defendant committed all elements of the offense. This means proving the defendant’s actions and intentions matched each part of the crime’s definition. Depending on the circumstances, it may be possible to show that the defendant’s actions did not actually fit the law as written. In addition to disputing whether the defendant’s actions fit the definition of the alleged crime, there are also other legal defenses to use against drug manufacturing charges in Philadelphia depending on the situation. 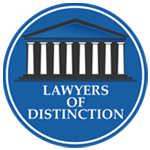 For example, our criminal defense attorneys can dispute and dissect police procedures. During search, seizure, arrest, and detention, your constitutional rights may have been violated, or evidence may have been tainted, lost, contaminated, or mishandled. The penalties for drug crimes in Philadelphia can be severe. This is particularly true of cases involving manufacturing charges, which are more serious than simple possession charges (possession for personal use). Because large-scale drug manufacturing is seen as contributing to organized crime, prosecutors frequently seek harsh penalties to “make an example” of the defendant. Drug manufacturing is generally charged as a misdemeanor in Pennsylvania with the Act providing, “Any person who violates any of the provisions of clauses (1) through (11)… of subsection (a),” which includes manufacturing, “shall be guilty of a misdemeanor.” However, the related offense of drug trafficking, which is sometimes called “possession with intent to deliver a controlled substance” or PWID, is generally a felony. Trafficking Schedule I, II, III, or IV drugs, including cocaine, heroin, MDMA, LSD, and methamphetamine is typically a felony in Pennsylvania. Pennsylvania previously enforced long mandatory minimum sentences for drug trafficking crimes, but many of these sentencing requirements were eliminated as a result of the U.S. Supreme Court’s fairly recent decision in Alleyne v. U.S. (2013). Nonetheless, long sentences are still a possibility. Depending on how the defendant’s offense is graded, he or she may face a sentence of anywhere from one to 15 years, in addition to devastating fines. He or she may also be placed on probation and will receive a criminal record. 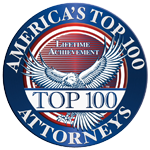 This is why it is important to seek the representation of an experienced and proven Philadelphia drug manufacturing and criminal defense attorney. Call today for a free consultation at 215-712-1212 and learn how I will work to reduce the charges you actually face as well as the consequences which may result. If you or a family member was charged with operating a drug manufacturing facility, manufacturing narcotics, cultivating marijuana, or operating a drug trafficking operation, skilled legal representation is critical. Call for a free, confidential consultation.